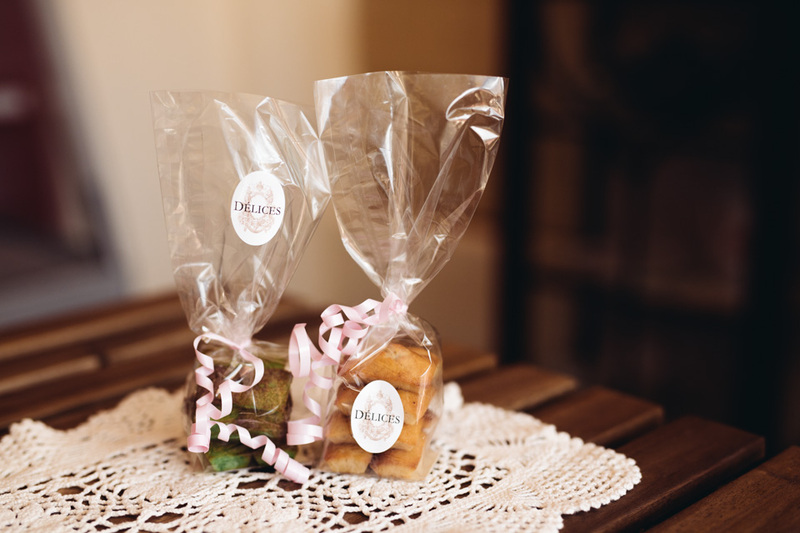 Find the perfect gift, or treat for yourself at Delices! From French hampers to coffee and tea, browse our range. 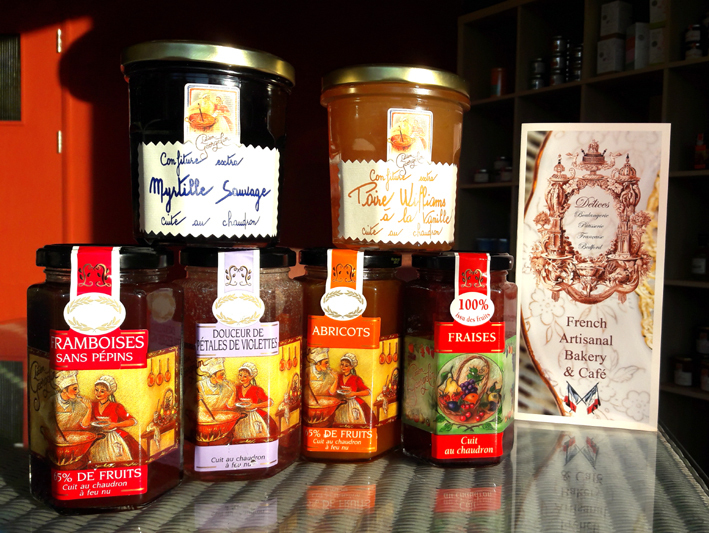 We stock a range of high-quality French products, all beautifully packaged and presented. They’re perfect for gifts – unless of course you want to keep them for yourself! Flavoured Black Tea with zesty flavours: lemon, lime, sweet orange, bitter orange, grapefruit, bergamot and mandarin. Flavoured Green Tea from a traditional Turkish recipe: orange blossom, roses, berries and the flesh of green dates. Delicious hot or iced. Green Tea with a delicate natural flavour of cherry blossoms. 4 green teas miniatures. Whole leaf. 4 green & black teas miniatures. Whole leaf. THÉS d’ORIGINE & THÉS PARFUMÉS (Single estate teas and flavoured teas). 48 whole leaf muslin tea bags box set. Eight different types of tea. Herbal Tea with fruits and plants: apple, hibiscus, bergamot and flowers. Delicious hot or iced. A blend of anise, peppermint and lemon balm. 20 tea bags. These 65% fruit jams are slowly cooked in cauldrons to preserve all the aromas. We have selected this family business for the quality of their products without preservatives, colourants or added flavours. Pear Brandy (55%), cane sugar, pectin, lemon juice, vanilla extract, vanilla pods. Wild Blueberries (55%), cane sugar, pectin, lemon juice. Apricots (65%), cane sugar, pectin, lemon juice, butter. Violet Petal, cane sugar, pectin, violet flavour, lemon juice. Seedless Raspberries (65%), cane sugar, pectin, lemon juice. Strawberry (60%), cane sugar, pectin, lemon juice. 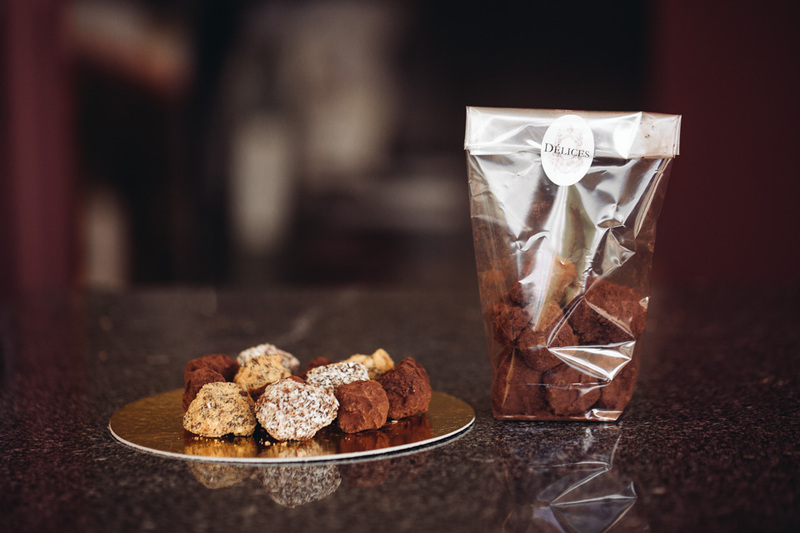 All our sweets are made here in Délices' kitchen and bagged by us! Pistachio, almond, butter, sugar, wheat flour. Selected for you by Diana and Géraldine for their exceptional taste and natural ingredients. HUILE d’OLIVE Château d’Estoublon "Picholine"
Single-varietal extra virgin olive oil. Cold pressed, 20cl. 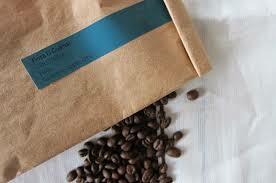 Selected for you by Diana and Géraldine for their exceptional tastes and natural ingredients. Sardines (62.50%), cream, olive oil, Espelette pepper, shallots… 100g. Lobster (30.50%), cream, scallop, shallots, carrots, butter, wheat flour, Guérande salt, parsley… 100g. Scallop (47.50%), cream, shallots, carrots, butter, wheat flour, Guérande salt, parsley, garlic… 100g. Cep (5%), roasted aubergines, button mushrooms cream, sunflower oil, salt, black pepper… 100g. Roasted aubergines (47%), cream, sunflower oil, tomato purée, garlic, basil, herbs, salt, black pepper… 100g. Artichokes (74%), cream, olive oil, salt, black pepper, lemon juice… 100g. Red peppers (28%), roasted aubergines, artichokes, onions, sundried tomatoes, olive oil, balsamic vinegar, basil, salt, black pepper… 100g. 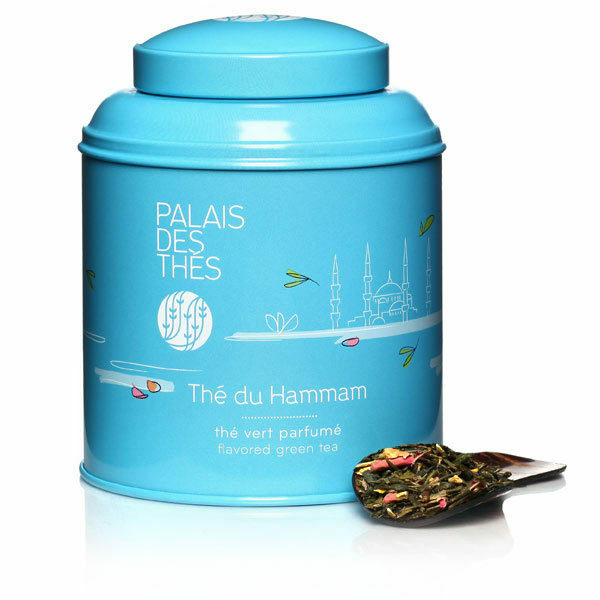 Palais des Thés, Gift Box of 8 different teas. 48 whole leaf muslin tea bags box set.